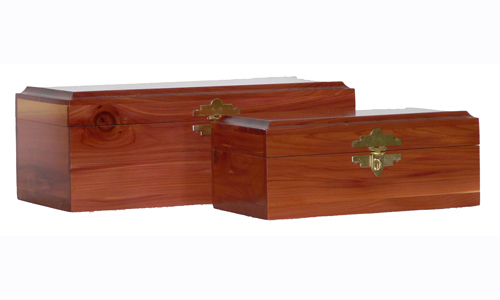 Our cremation packages include your choice of our standard tapestry or cedar chest urn. 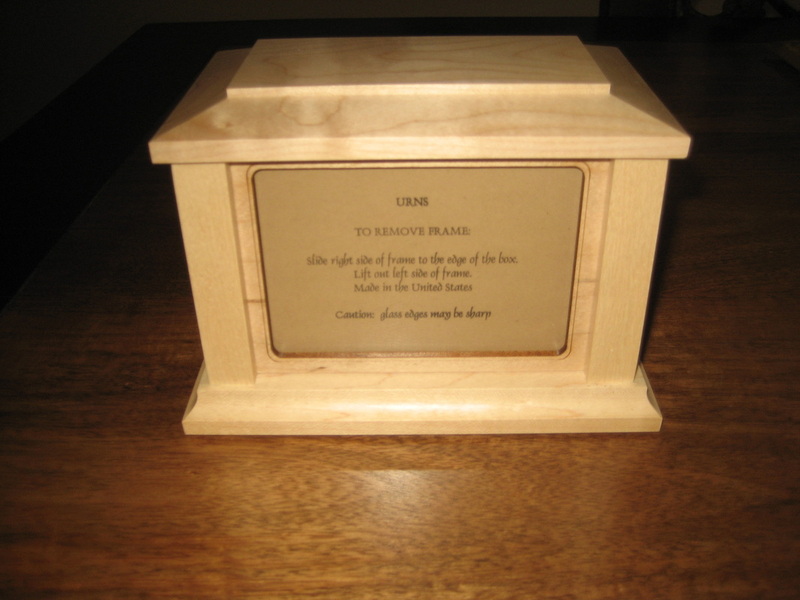 Our Wood Picture Urns are handcrafted natural wood, no stains. 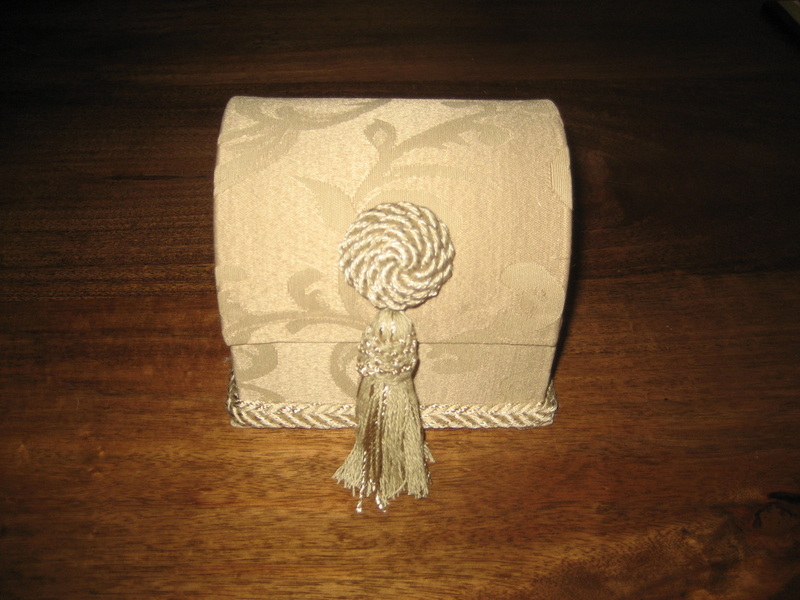 They are made in the United States by a family company in Wisconsin. They come in four different woods: Maple, Oak, Cherry & Walnut. 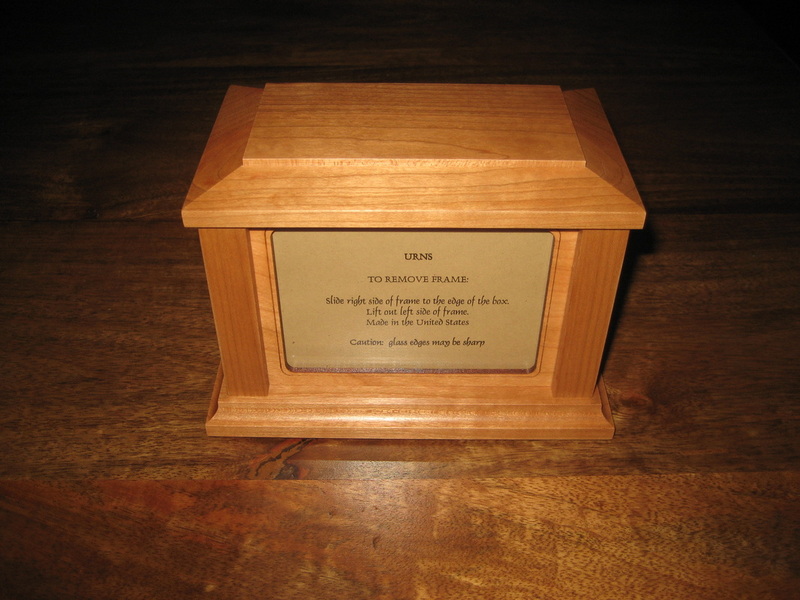 We understand that picking an urn for your pet is very personal. 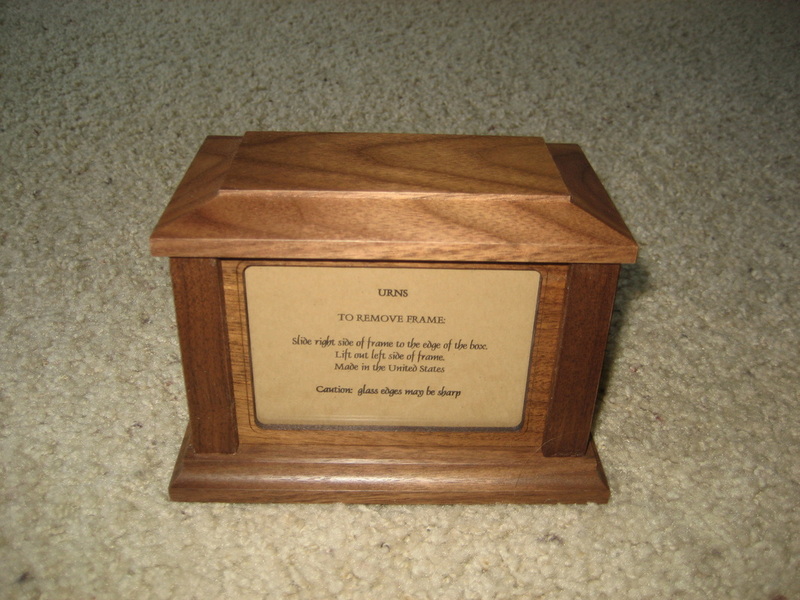 There is a large variety of urns available on the internet. All you have to do is Google pet urns and you could look for hours. 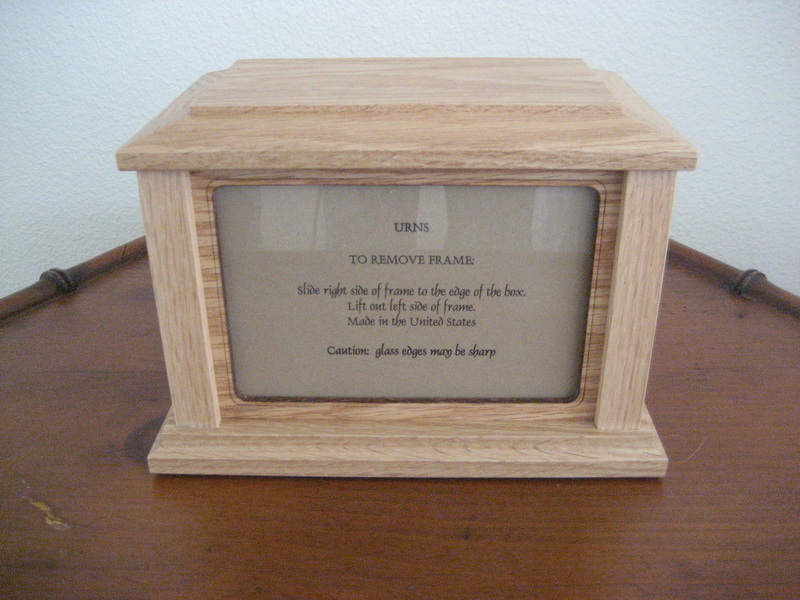 If you choose to order your own urn you can have it shipped directly to us.